The Internal Revenue Service website says that you should keep copies of your tax returns, including W-2 attachments, for at least three years after filing. These documents come in handy if the Internal Revenue Service decides to audit your return or if you ever need to show proof of income. If you are missing a W-2 from a prior tax year and need to get previous year W2 copies, you have several ways to retrieve it. You can contact your employer's payroll department or use its online employee self-service portal to get a copy of your W-2. Other options include contacting the IRS to get copies of your tax returns or tax transcripts and checking if your state offers a copy of your W-2. If your employer is still in business, contact your payroll department for a copy of your W-2. Some employers have a self-service option for current and former employees to print W-2s online. Federal law says that employers must keep copies of employee W-2s for at least four years, though your employer may keep them for a longer time. Your employer or payroll service provider may charge a fee to issue replacement W-2s. Starting at the end of February, you may call the IRS's designated toll-free number to order a copy of W2 forms filed for you. The IRS will contact your previous employer by mail on your behalf to obtain a copy of the form. Before calling, you'll need to have your contact information, including your social security number, and the contact information for your employer. Most importantly, you'll need the dates you worked for the employer and an estimate of your earnings. You'll also need to have an idea of the federal income tax that was withheld from your earnings. If you look at your final pay stub for that employer, you should be able to find this information listed. To get an actual photocopy of your W-2 from the IRS, you must order your entire tax return and W2 online by completing Form 4506. On the form, include the 1040 series you are requesting. You can get up to seven years of tax returns for a 1040 series. Mail Form 4506 and your payment to the IRS location stated on the form. Give the agency up to 60 calendar days to send you your return. Alternatively, you can request a free transcript of your W-2 from the IRS by completing Form 4506-T. The transcript is not an actual photocopy of your W-2 but is rather a printout of most of the information on the form. It does not include state tax data. You can request up to 10 years of W-2 transcripts from the IRS, excluding the current tax year. 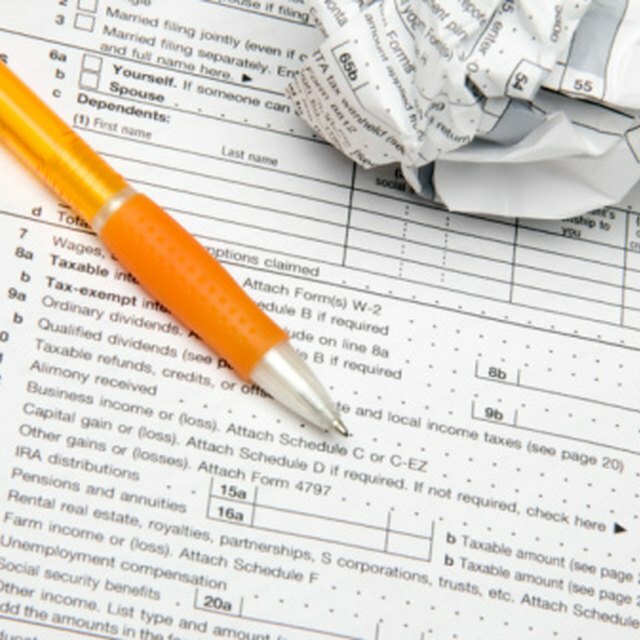 Mail or fax Form 4506-T to the IRS at the address or fax number provided on the form. Alternatively, you may request a W-2 transcript by calling the IRS’s toll-free number. Allow the agency 10 business days to process your request. If your employer withheld state taxes from your wages, you might be able to get a duplicate W-2 from your state revenue agency. The cost of a duplicate W-2 from the state might be less than ordering a copy of your entire tax return from the IRS. There may be drawbacks, however. For instance, duplicate W-2s from the California State Controller’s Office are available for only up to the last four years. IRS: How Long Should I Keep Records?